Nestled in heart of Dong Xuan Market, Hanoi Little Town Hotel is an ideal spot from which to discovery Hanoi. From here, guests can enjoy easy access to all the lively city has to offer as Hoan Kiem Lake, the popular Thang Long water puppet show, night market at Hang Ngang Street, Hang Dao street (every Friday, Saturday, and Sunday nights). Ancient house of Hanoi in Ma May Street, shopping centers and banking facilities. The old quarter is base for experiencing the intriguingly crazy beautiful culture, with not to be missed breathtaking destinations such as Ha Long Bay, Sa Pa, Mai Chau close by. Our tours are guaranteed great value; free big breakfast; fruit; tea and coffee available all day, restaurant catering both Vietnamese and Western cuisines, bar, and gift shop for all those Western comforts you miss while traveling. This newly renovated hotel. Step into one of 25 inviting rooms and escape the stresses of the day with a wide range of amenities such as internet access – wireless, internet access – wireless (complimentary), non-smoking rooms, air conditioning, heating which can be found in some rooms. Besides, the hotel’s host of recreational offerings ensures you have plenty to do during your stay. It’s the small touches and attention to detail which help us stand out from the crowd and which will make your stay extra special. As our guest we know you by name and treat you as part of our family. We will give comprehensive information and details of the surrounding area and the best places to visit. We would be delighted to find out what you would particularly like to experience in Hanoi to ensure you make the most of your visit. We are pleased that a number of our guests are long stays and returning visitors, which shows we are a hotel of choice for many people. 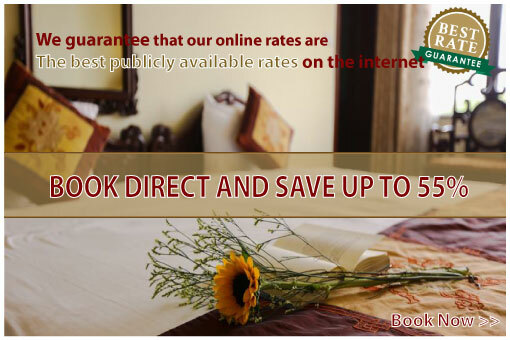 With comfortable guest rooms and cosy beds for a good night’s sleep, free wifi throughout and use of in-room laptops, flat screen cable TV and a relaxed atmosphere, let Hanoi Little Town become your home from home while you are in Hanoi. Let us show you the colourful city of Hanoi!